Counsellors of children and young people are required to provide counselling for individuals with different characters, different problems, and of different ages. For each child there will be an approach that is best suited to them. Nevertheless, there are a number of child counselling skills which can be used irrespective of the differences between their needs. Here we share a collection of materials with advice and guidance on these necessary skills. Want to share these resources with your students? Bookmark this page, save it your VLE, and add the page URL to your reading list! What are the benefits of group work when working with young people? Take a look at this free chapter. You will need to employ different skills for different age groups. Read this list of recommended skills for 5 to 9, 10 to 13 and 14 to 18 year olds. Working in school environments can be challenging, and the role of the school counsellor can be particularly demanding. 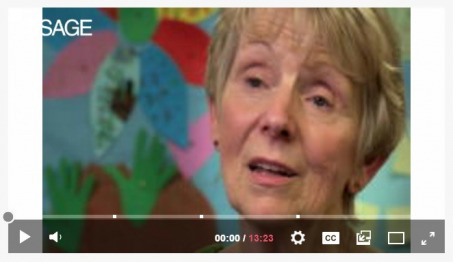 In this video, from the SAGE Counselling Video Collection, Valerie Weston shares her knowledge on parent communication, providing a safe space for pupils, and allowing pupils to express themselves in many different ways.